Get outdoors at Royal Botanic Gardens and St. Kilda Beach. Melbourne Museum and Melbourne Central are good opportunities to explore the local culture. 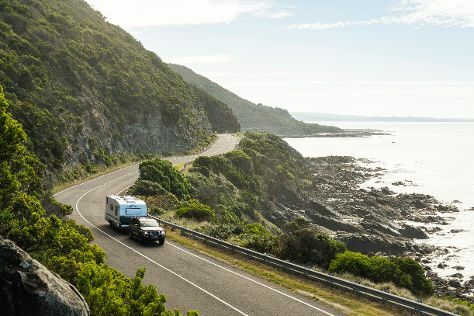 Step out of Melbourne with an excursion to The Great Ocean Road in Torquay--about 1h 40 min away. There's lots more to do: learn about wildlife with up-close encounters at Melbourne Zoo, soar above the sights with a balloon tour, steep yourself in history at Old Melbourne Gaol, and take in panoramic vistas at Eureka Skydeck 88. To find other places to visit, photos, reviews, and more tourist information, read our Melbourne tour website . Singapore, Singapore to Melbourne is an approximately 10.5-hour flight. You can also do a combination of flight and shuttle. Traveling from Singapore to Melbourne, you'll lose 2 hours due to the time zone difference. Traveling from Singapore in October, things will get much colder in Melbourne: highs are around 24°C and lows about 9°C. Wrap up your sightseeing on the 10th (Thu) to allow time to travel to Blackheath. Get a sense of the local culture at Norman Lindsay Gallery & Museum and The National Pass. Step out of the city life by going to Wentworth Falls and Kanangra-Boyd National Park. On the 12th (Sat), dedicate a day to the elevated beauty of Perry's Lookdown. Next up on the itinerary: take in the awesome beauty at Blue Mountains, delve into the lush surroundings at Coachwood Glen Nature Trail, tour the pleasant surroundings at Grand Canyon track, and take in breathtaking views at Pulpit Rock Lookout. For other places to visit, traveler tips, photos, and other tourist information, go to the Blackheath trip planner . The Route module can help you plan travel from Melbourne to Blackheath. Traveling from Melbourne in October, you will find days in Blackheath are somewhat warmer (30°C), and nights are about the same (12°C). Finish your sightseeing early on the 14th (Mon) to allow enough time to drive to Sydney. 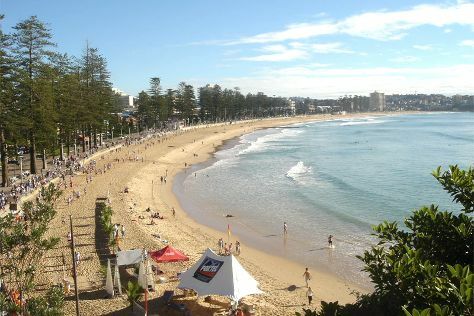 Escape the urban bustle at Manly Beach and Store Beach. Relax by the water at Bondi Beach and Clontarf Beach. The adventure continues: take a stroll through The Rocks, hike along The Opera House to the Botanic Gardens Walk, admire nature's wide array of creatures at Sea Life Sydney Aquarium, and admire the natural beauty at Royal Botanic Garden Sydney. Traveling by car from Blackheath to Sydney takes 2 hours. Traveling from Blackheath in October, expect a bit warmer with lows of 17°C in Sydney. Cap off your sightseeing on the 19th (Sat) early enough to travel back home.